A new Russian-northern European pipeline project raises questions. On 18 June, during the annual St. Petersburg International Economic Forum, an agreement was signed to build a controversial new “Nord Stream 2” pipeline under the Baltic Sea that would go directly from Russia to northern Germany, with a capacity of 55 billion cubic meters (bcm). The project, which consists of two segments that would run along the same route as the existing two segments of the 55 bcm Nord Stream line, completed in 2011, has met with strong opposition from energy officials in Brussels, as well as leaders in Ukraine and some other EU states. Indeed, the agreement between Russia’s Gazprom and a consortium of German, Austrian, French, and Anglo-Dutch companies came as a surprise. After all, in January 2015 Gazprom announced it had abandoned the project, blaming both the falling price of gas over the previous year and anti-monopoly restrictions in the EU’s Third Energy Package, which prohibit suppliers of gas from also owning pipelines delivering it. This provision has prevented Gazprom from ever filling the original North Stream more than half way. In retrospect, the sudden signing of a Nord Stream 2 agreement only six months after the project was supposedly abandoned, plus the fact that the consortium foresees a quick start reveals the prior cancellation to have been a political ruse. However, at the signing, Gazprom chief Alexei Miller, obviously quite satisfied with his coup, declared business is winning over politics: “As far as Nord Stream is concerned – there was no politics at all. The decision was taken in November 2011 and all the work has been done based on the decisions taken three years ago.” Both he and others asserted work would be complete by the end of 2019 – a particularly significant target, as this is the year Russian President Vladimir Putin has repeatedly said Russia intends to end transshipment of gas to Europe via Ukraine. Energy officials in Brussels and eastern European leaders have warned that Nord Stream 2 will do exactly this. However, within business and government circles here in Berlin, the project is widely seen as a reasonable and even rather clever solution to Putin’s penchant for using gas deliveries via Ukraine as a geopolitical lever. 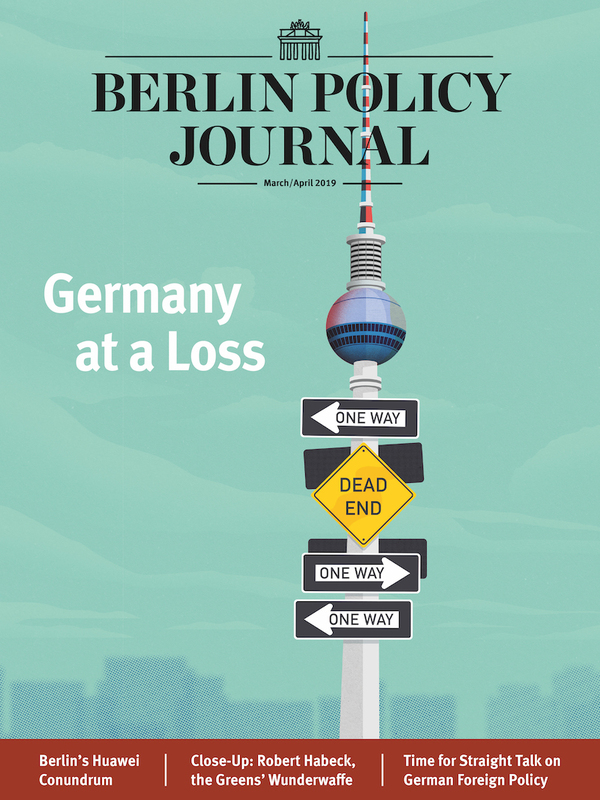 The principal argument heard is that Russia has never interfered with gas deliveries to Germany, and that it dare not; and Germany would be a reliable and trusted re-seller to countries now vulnerable to Russian cutoffs and monopoly pricing. The fact that this approach is directly contrary to EU gas-security policy is generally dismissed with explanations of how “reasonable” the plan is, and that long-term European dependence on Russian gas is both inescapable and even desirable for EU-Russian relations. It will, of course, also be lucrative for the northern-EU companies involved, especially as “Gazprom is willing to pay” for the pipeline, as is often pointed out. However, Nord Stream 2 is not solely a German affair. The European consortium includes German energy companies BASF and E.ON, French company ENGIE, Austria’s OMV and Royal Dutch Shell, an Anglo-Dutch company. As for Shell, the Nord Stream 2 deal is but one element of a new global partnership with Gazprom according to Miller, who revealed in St. Petersburg that the deal heralds a spate of new Shell-Gazprom energy asset swaps and joint projects in Europe, Russia, and around the globe. For Austria and OMV, the economic allure is strong. As Miller explained, “… by the end of 2019 gas will travel far beyond Germany as OMV aims to turn Austria into one of Europe’s largest gas hubs.” Experts have also pointed out that this will concentrate at least two-thirds of Russian exports to Europe into one route, all arriving in Germany – already the largest recipient of Russian gas – and should enable Germany to develop as a hub for re-sale of Russian gas throughout Europe. Indeed, an advantage for Gazprom, which would now not need to develop its own hub, is that “it will allow Austrian and German trading hubs – NCG, Gaspool and CEGH – to become more important than the UK and Netherlands’ TTF/NBP hubs”, and Gazprom should be able to determine the speed of development. All this is legal, as the EU, unlike the United States, has not extended its sanctions to Gazprom; however, challenges by EU authorities under the Third Energy Package rules are expected. Nevertheless, by very closely following the route of the previously approved, original Nord Stream, the consortium expects the project will be able to proceed. Putin’s consistent energy priority over the past couple of years has been an end to Gazprom’s sending gas to Europe through Ukraine by 2019. Why would Putin want this so badly? First, Putin is utterly opposed to allowing Ukraine to draw closer to the EU, and has worked to wreck Ukraine’s ability to do so. Up till now, if Putin has wanted to exert pressure on Ukraine by restricting its gas supplies, it required cutting back on the gas Gazprom feeds into the 26 bcm annual-capacity Soyuz pipeline and the 132 bcm Brotherhood and Urengoy-Pomary-Uzhgorod pipelines. These two systems not only bring Russian gas to Ukraine, but continue on to supply Europe with half of the gas it gets from Russia. Of course, if Gazprom does not send Ukraine its portion, Ukraine can simply siphon off what gas it needs from the huge supplies passing through its territory. So, in 2006 and again in 2009, claiming to only want to cut off Ukraine – ostensibly over price or payment disputes – Putin actually cut off the entire flow through Ukraine to Europe, causing a major geopolitical backlash from both the EU and its US allies. So Putin wants an alternative way to get this gas to Europe without transiting Ukraine, and he ordered Gazprom to accomplish this by 2019. If he succeeds, he will have accomplished three specific things. Since Ukraine controls the two lines transiting its country, ending their use will deny Kiev about $2 billion annually in transit fees its economy desperately needs. It would also leave Ukraine highly vulnerable to energy pressure from Putin. On the one hand, he could then cut off Russian gas shipments to Kiev without cutting off any of Gazprom’s millions of European customers downstream, thus avoiding any direct energy confrontations with the EU. On the other hand, It would also end Slovakia’s new ability to “reverse flow” gas back to Ukraine to counter any Gazprom cut-off there, as Slovakia only gets that gas from Russia via Ukraine transit – which is also why Gazprom declares Slovakia’s aid “illegal”. Putin’s initial scheme for replacing Ukraine as a transit state was to build a new “South Stream” pipeline from Russia across the Black Sea and through Bulgaria. However, Brussels, after some initial fumbling, finally made it quite clear that the European Commission would implement the anti-monopoly provisions it had lain out in its Third Gas Package, which became law in March 2011. These require that corporate sellers of gas to EU states be different from the corporate owners of the pipelines transporting that gas – i.e., that the two be “unbundled” in the interests of gas-market competitiveness. So Putin suddenly killed his Bulgarian scheme, and announced a deal with Turkey for “Turkish Stream”. This pipeline would also enter the Black Sea, but would now veer south and make Turkey the transit state to replace Ukraine, delivering some 63 bcm of gas – 16 bcm promised to Turkey itself in a first phase whose construction was intended to start in 2016, and another 47 bcm in a second phase to go beyond to the European market. However, Putin’s latest demonstration of Russia’s new “muscular” geopolitical “decisiveness” entailed intervention in Syria on the side of Bashir al-Assad, and Turkey’s President Recep Tayyip Erdogan is deeply opposed to Assad. This clash with Turkish interests, exacerbated by Russian fighters violating Turkish airspace in early October 2015, has led to a breakdown in negotiations on construction of Turkish Stream. Moreover, the project’s main contractor, Italy’s Saipem, already had its contract to lay pipe under the Black Sea suddenly cancelled by Gazprom in early July (a few weeks after signing the Nord Stream 2 deal) just as Saipem’s ships were about to begin work. 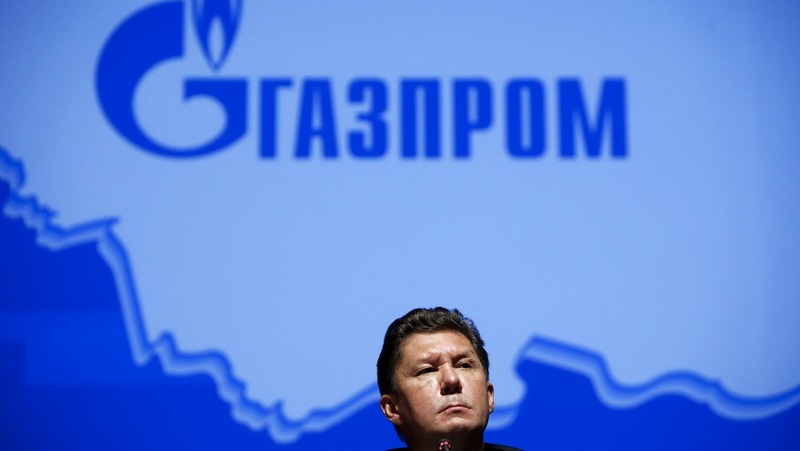 Industry sources say it will be difficult now for Gazprom to convince any new contractor of its serious intentions for Turkish Stream, and Gazprom itself announced that the project will aim for only half its initially touted 65 bcm, with construction delayed till 2017. Clearly, Putin realized that sending fighter planes and troops to Syria would undo Turkish Stream as his substitute for Ukraine’s pipelines. However, by June he had another alternative signed and sealed in St. Petersburg that would send sufficient gas to Germany and Austria. Nord Stream 2 had already been widely seen as enabling Putin to bypass Ukraine, and has removed Turkey’s energy leverage over his Syrian adventure Whatever his actual intention in dampening fighting in eastern Ukraine since early September, the effect has been to remove any argument German officials might have invoked in the face of stiff German business demands that “politics” not block the Nord Stream 2 project. However, there remains one problem for Putin to replace Ukraine as a transit state: opposition from Brussels, and especially those European states most vulnerable to Putin’s use of Gazprom gas supplies as a means of coercion – and who are demanding more “solidarity” from Germany, Austria and the Netherlands. To nay-sayers, Nord Stream 2 will lock in a deeper European dependence on Russian natural gas supplies for 30 years. In recent days Brussels has taken decisions to increase LNG supplies to the continent, and over the past months has given significant impetus to a number of formerly languishing projects to boost imports of both non-Russian LNG (liquid natural gas) and pipeline gas supplies to Europe, as well as build new internal-distribution pipelines and storage facilities that enhance member states’ gas-sharing capability and energy independence from Russia. Shell and its partners present Nord Stream 2 as necessary to replace waning supplies of gas to northern Europe from old Dutch fields. However, with the global market bursting with new gas supplies, including LNG, and with Poland, Lithuania, Croatia, Spain, Portugal, and other member states making major efforts to bolster their access to non-Russian gas imports, Germany has made no significant efforts towards LNG, and there seems to be little consideration of how new non-Russian gas set to flow into southern Europe could be brought to bear. Maroš Šefčovič, the EU’s energy union vice president, has protested, “How is [Nord Stream 2] in compliance with our strategy for diversification of supply? What kinds of conclusions should we draw if the aim of such a project is to practically shut down the Ukrainian transit route?”– a fair question, given that the project will completely change the gas balance for Central and Eastern Europe, to which no satisfactory answers have been forthcoming so far. Gazprom owns about half of both of OPAL pipeline, an extension running from near the Nord Stream’s landfall in northern Germany down to the Czech border connecting Nord Stream gas to the European network. Opal is the particular line Gazprom has been barred from filling beyond 50 percent, which in turn has limited its utilization of Nord Stream. 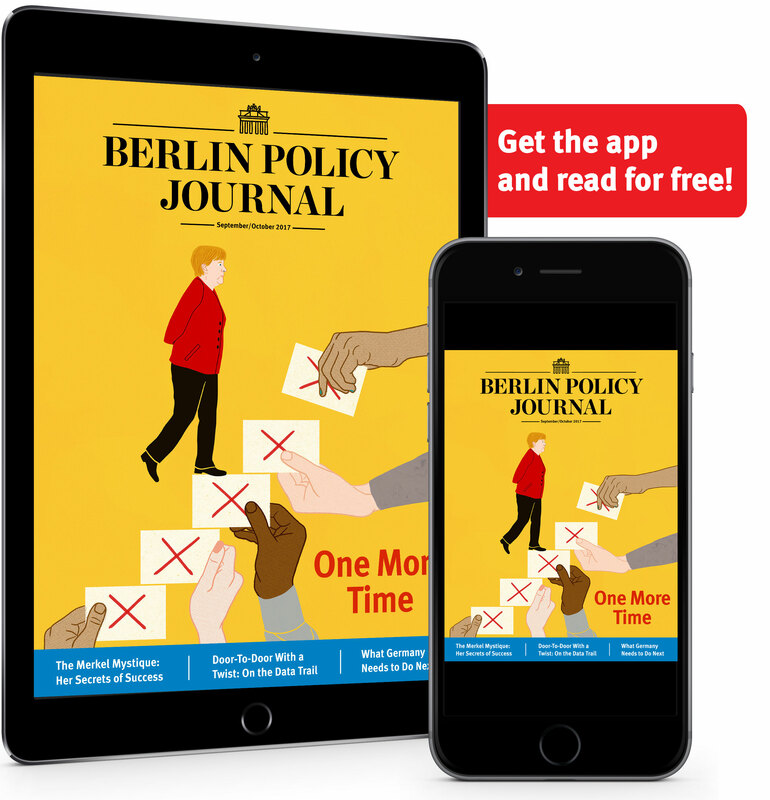 teaches at the Free University and Hertie School of Governance in Berlin. He also consults on energy matters and blogs at GlobalBarrel.com.